‘The Crucible’ Hits Blu-ray for the First Time Courtesy of Kino Lorber! 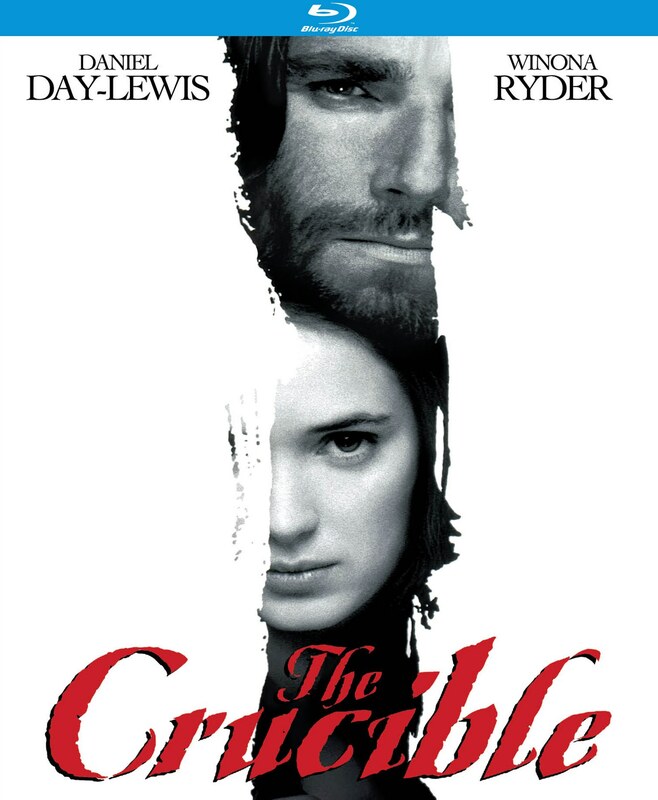 Nicholas Hytner’s flick, The Crucible isn’t an outright horror film, but it’s very, very dark in tone and it has some truly top notch performers involved in the production. For the first time ever, Kino Lorber is delivering this one to the masses on Blu-ray! The all-star cast includes Daniel Day Lewis, Winona Ryder, Joan Allen, Paul Scofield, Bruce Davison, and Jeffrey Jones. Here’s a look at the trailer, poster and bonus supplements! Now dig on the trailer before you order this beauty right here! 17th-century Salem, Massachusetts – a group of teenage girls meets in the woods at midnight for a secret love-conjuring ceremony. But instead of love, Abigail Williams (Winona Ryder, Heathers) wishes for the death of her former lover’s (Daniel Day-Lewis, The Last of the Mohicans) wife (Joan Allen, The Ice Storm). When the ceremony is witnessed by one of the town’s ministers, the girls are accused of witchcraft. Soon the entire village is consumed by hysteria, and innocent victims are put on trial, leading to a devastating climax! Nicholas Hytner (The Madness of King George) directed this modern classic based on a play by the great Arthur Miller (Death of a Salesman) and featuring an amazing cast that includes Paul Scofield (A Man for All Seasons), Jeffrey Jones (Ferris Bueller’s Day Off), Bruce Davison (Longtime Companion), and Peter Vaughan (Straw Dogs). Received two Academy Award nominations for Best Supporting Actress (Allen) and Best Adapted Screenplay (Miller).